STATEMENT ISSUED BY JULIUS DEBRAH ON THE NPP RALLY HELD AT SUHUM ON THURSDAY 8TH NOVEMBER,2012. I write to thank all NDC sympathizers and my numerous supporters in and out of Suhum Constituency, for their numerous phone calls and text messages urging me to stay calm in the face of all the insults, slander and false accusation levelled against me and my President and the NDC party at the NPP rally yesterday. I was accused of not being able to complete a particular house owned by my late father at Akorabo. I am a Kwahu from the Akan lineage and we practice [matrilineal] inheritance. My late father died intestate and left behind six(6)houses. 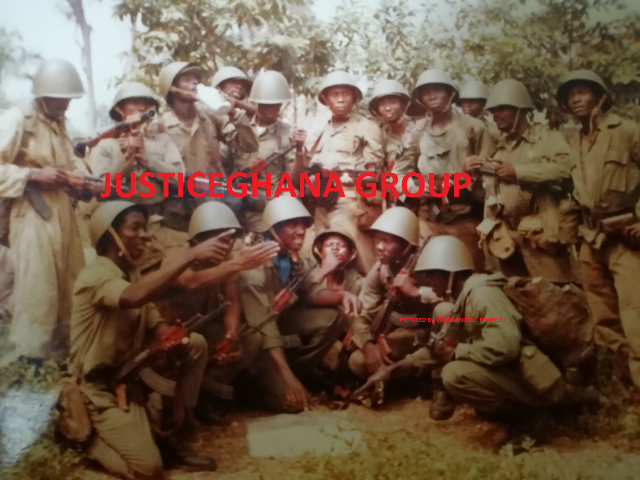 His family members were assigned two(2)houses-one at Obomeng-Kwahu and the particular house in question at Akorabo. My mother and her children were assigned one(1) house at Suhum and my step mother and her children were also assigned two(2)houses at Akorabo. His brother and successor was also assigned one(1) house at Nkawkaw. By law,I have no interest in the uncompleted house at Akorabo and can therefore neither occupy that property or forcibly use it for any purpose. I was also accused of having an interest in a private limited liability company(Drakens Constructions Ltd). I started my life as a private business person and had my first company incorporated in 1991. In the 1990’s, I was the youngest enterprenuer occupying the same floor at the Swanzy Shopping Arcade with successful business people like, Messrs Twum Boafo and Partners, Messrs J.S.Addo and Partners (former Governor of the Bank of Ghana, Prudential Bank, Hon.Albert Kan Dapaah and Associates (Chairman of the Public Accounts Committee of Parliament), and Hon. Akwasi Osei Adjei (Oaxy Ltd), the former Foreign Affairs Minister. Therefore, it is not surprising and unlawful for me to have interest in several businesses in Ghana at the age of 46. I understudied these successful people and still consult some of them on business matters. Hon. Opare Ansah also accused me of not being able to employ anybody from Suhum when I was the Chief Executive Officer of the Ghana Tourism Authority(GTA). I wish to state here that he only exhibited his ignorance in public. (i.) The organization is no longer called Ghana Tourist Board; it is now the Ghana Tourism Authority and an MP must know this. (ii)recruitment into the Ghana Tourism Authority is done in consultation with the Public Services Commission and not directly by the Ghana Tourism Authority and an MP must know this. I was not brought up to practice nepotism and cronism. (iii) There has been a Ministry of Finance & Economic Planning directives to most MDA’s including the GTA not to hire, unless under a specific condition. This directive has been in place even during the tenure of President J.A. Kufour. Besides, can Hon. Opare Ansah tell Ghanaians the number of people he was able to employ from Suhum into the Ministry of Communication where he was the Deputy Minister? Again, Hon.Opare Ansah accused me of claiming to be a youth or belonging to the youthful bracket at the age of 46, because my slogan reads “The face for the youth”. Its a shame a honourable member of Parliament does not understand the meaning of such a simple English expression. "The face for the youth" does not mean “I am youthful”. And I believe his teachers must be ashamed of his intellectual dishonesty, because my slogan simply means - the leader who brings hope and a better future to the youth and or the leader the youth can trust and look up to. I am very sorry to say that, Hon.Opare Ansah is teaching the kids at Suhum bad or incorrect English language. He must aspire to be a good role model in society. I was also accused of giving pieces of clothes and GHC 50 as a means to induce voters. This is not true. I am a honest person and therefore challenge anybody in Suhum who has received such receivable from myself or any of my agents to come forward and either confirm or substantiate this allegation. This is my word; unlike their case where shots were heard being fired during their recent ‘keep fit’ programme at Suhum. They denied the incident and story and even got the District Police Commander to collaborate their story, but thank God that, yesterday one of their supporters admitted of Oman FM that he fired the shot and that it was a bamboo gun. Honesty is very important in public life and politics. Finally, I was also accused of branding taxis in Suhum with my images. This is true. In choosing our marketing strategies for our campaigns, Hon. Opare Ansah decided to brand almost every electric pole in the constituency at a cost. These poles are static and in sight anyway. And I decided to rather brand taxis and donate fuel to support the businesses of all taxi drivers who carry my branding. These taxis are mobile and are seen every minute at the hospitals, lorry parks, markets, drop off areas, homes and including the street in front of Hon. Opare Ansah's house. I understand some of his campaign volunteers coming from other parts of the constituency have no option than to pick some of these branded taxis of mine to enable them get to his house, to his great annoyance. Assuming the two of us were given the same amount of money to market our products; tell me who under this circumstance and situation is likely to reach out to their target market in a more functional way? Why didn’t they also add that they have branded almost all the electricity poles in the constituency at a cost? On this occasion, I urge all my party supporters and sympathizers and the good people of Suhum who intend to vote ‘skirt and blouse’ to keep faith alive and vote for myself and President Mahama. Nothing has changed and so let's remain focus. For the good policies and programmes as presented by Julius Debrah are very practicable, pragmatic and achievable. We should not resort to insults, but step up our prayers and ask the LORD to handle the rest.